Capsule wardrobes are in and in a major way. Add 1-3 Flattering Accent Colors: If you’re not sure what looks good on you, take your cues from which colors bring out your eyes, what makes your skin glow, and which colors make you feel confident. For most clients that I've worked with, the magic number of items in a capsule wardrobe is between 30-45 items. Before you get nervous about only having a "few" things to wear, remember that the entire point of having a capsule wardrobe is that everything in it can mix and match. This gives you hundreds of combinations you can create. Also keep in mind that this number does not include gym wear, pajamas, intimates, winter coats or summer gear. This is simply to create your day-to-day outfits. Start with 8-10 main neutral foundations. Foundation items are like jeans, trousers, skirts, shift dress. 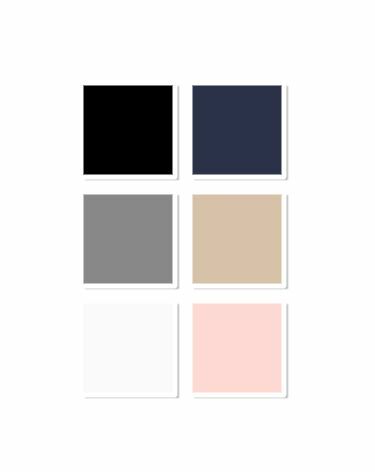 You can also have some completer pieces in neutrals: jacket, blazer, cardigan, sweater etc... Next layer is 8-10 coordinating neutrals, in both foundation items and completer pieces. Add in your accent colors 5-8. Accent items can be skirts, blouses, scarves, sweaters, pants; the sky is the limit here. Toss in 3-5 pieces that are or hint at the metallic option you chose. Think belts, clothing items with a shine, sequins or metallic thread. When it comes to shoes, have a combination of flats, heels, pumps, wedges or loafers that match you color palette. The same rule applies to accessories like belts, bags and scarves. Make getting dressed a breeze by using these "outfit ingredients"
For more great style knowledge, make sure to check out our online courses!